Runescape's new Well of Goodwill turns players' digital currency into real-world donations to several charities. Have you ever found yourself playing an MMO, sitting at the level cap with vast fortunes of gold and nothing to spend it on? Runescape developer Jagex is certainly familiar with the problem - Runescape's economy has been pretty unbalanced lately, with a lot of money in circulation but nothing to buy. To that end, Jagex is implementing a new system to improve the economy while helping a number of good causes. Runescape players can donate in-game gold and items to the Well of Goodwill, where their digital wealth will be converted into real-world dollars that Jagex will donate to a handful of charities. From today until November 30, players can find the Well of Goodwill just south of the Grand Exchange. For every 10 million gold donated by players, Jagex donates a dollar to charity. That may seem like a low conversion rate, but there's plenty of in-game money to go around: at time of writing over 65 billion gold has been donated by players. 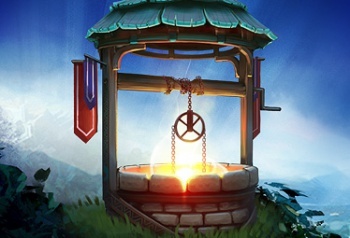 Players can also donate bonds, a premium currency sold by Jagex for $5 a pop, directly to the Well, and items donated to the Well are converted to a gold value based on the Grand Exchange's current rates. Altogether the donations have raised over $10,000 for charity, just on day one. Donations are paid by Jagex to the Willow Foundation, Special Effect, Action for Kids, GamesAid, and the Internet Watch Foundation.